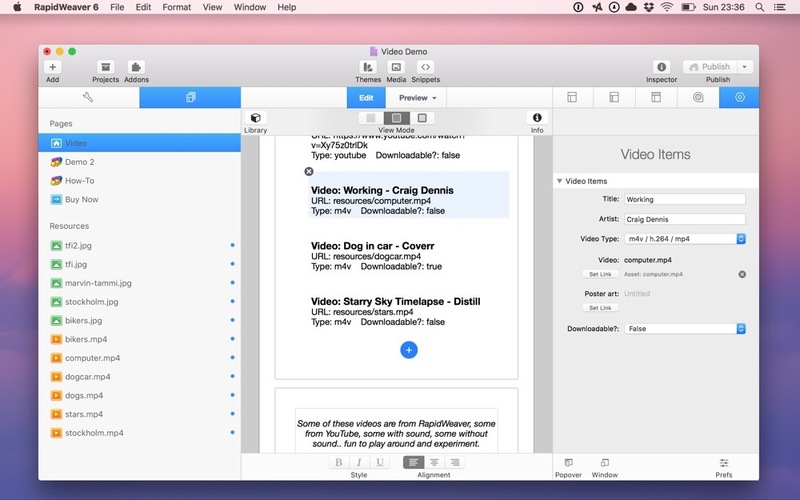 Add a simple responsive video player with playlist and video controls to your RapidWeaver project. YouTube or your own hosted uploaded videos - play! 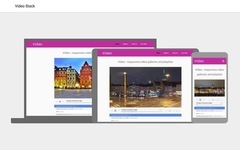 Responsive video galleries and playlists for RapidWeaver. 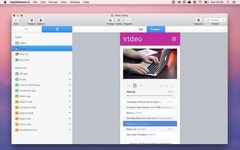 Add a simple responsive video player with playlist and video controls to your RapidWeaver projects. Play from your server or YouTube, add controls for shuffle, repeat and full screen and add as many videos as you want. 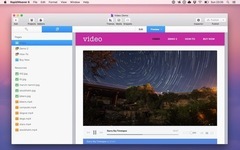 Video supports YouTube mixed with mp4 (.h264, m4v) and webm, and all in on player! 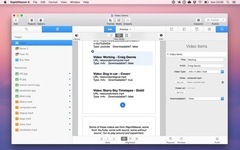 Use RapidWeaver Resources or the “warehouse method” (link to any video track on the web). 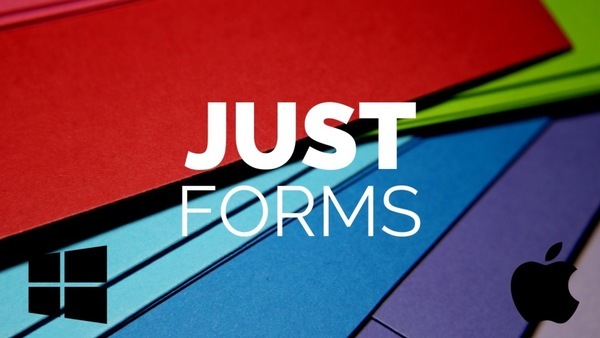 You can choose from more file formats to add to your project (on a per video basis) and there’s much more compatibility across multiple browsers and device types. And rearrange video galleries and playlists with drag and drop easiness in Stacks. Add controls included for shuffle, repeat, full screen and default volume, as well as a setting to have them off if needs be. Autoplay is also an option for those that want videos to start on page load and the track length is auto calculated with an intelligent counter. 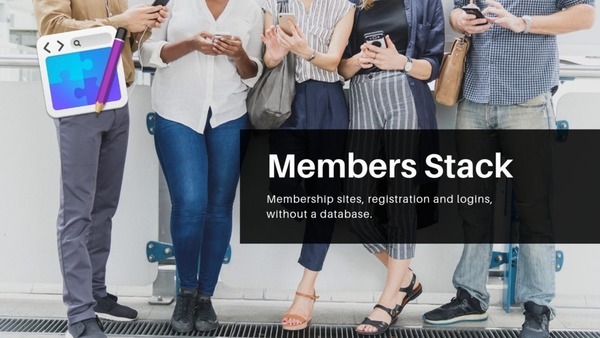 You can also add video poster art if you want to customise the first frame viewable and also choose to add downloadable links if you want to distribute your work from the player. 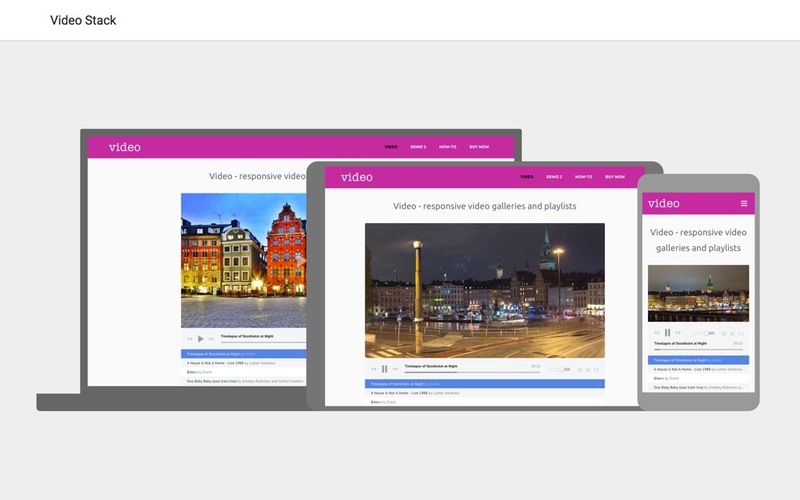 Video has a 100% edge-to-edge width so it's easy to adjust it based on a column's max-width and is fully responsive. The videos look great on a computer or on your pocket device. You can style the player with a dark or light skin and has a lovely flat style, which is fully compatible with those high resolution screens. Simple responsive audio player with playlist and audio controls. 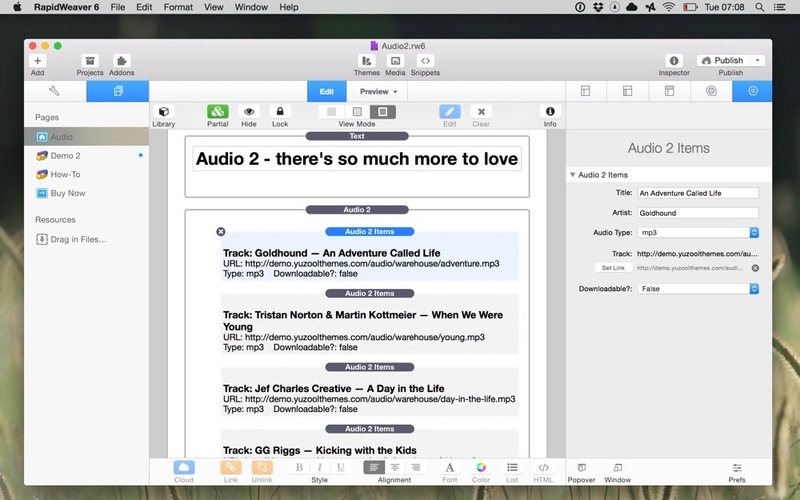 Preview tracks, show a set or album playlist and link directly to your tracks. Simple responsive audio player with playlist and audio controls. 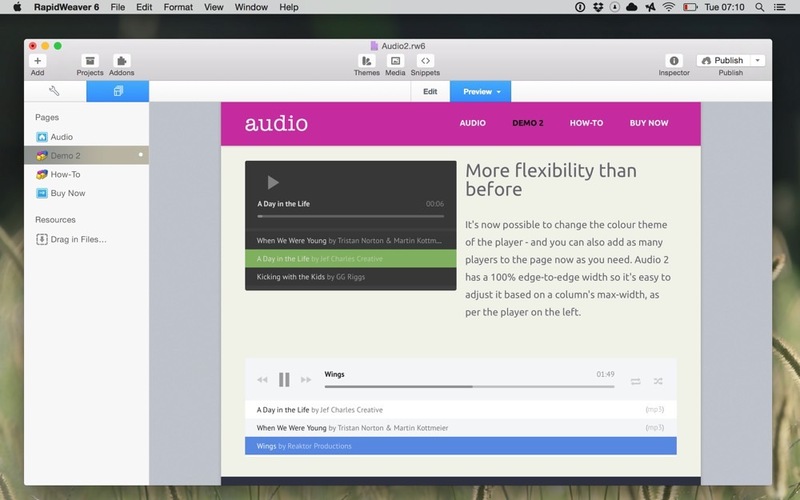 Add a simple and stylish audio player to your band's RapidWeaver project in minutes. 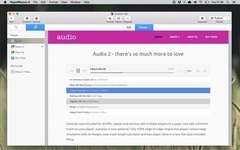 Preview tracks, show a set or album playlist and link directly to make your tracks downloadable. There’s been so much added and improved. Controls now included for shuffle, repeat and volume; add multiple players to a page; now add unlimited tracks to your player; autoplay is now optional; you can now re-order tracks easily; it’s fully 100% edge-to-edge responsive player; retina-ready resolution with no images; auto track length calculator and two player skins in a new flat style included. Phew. 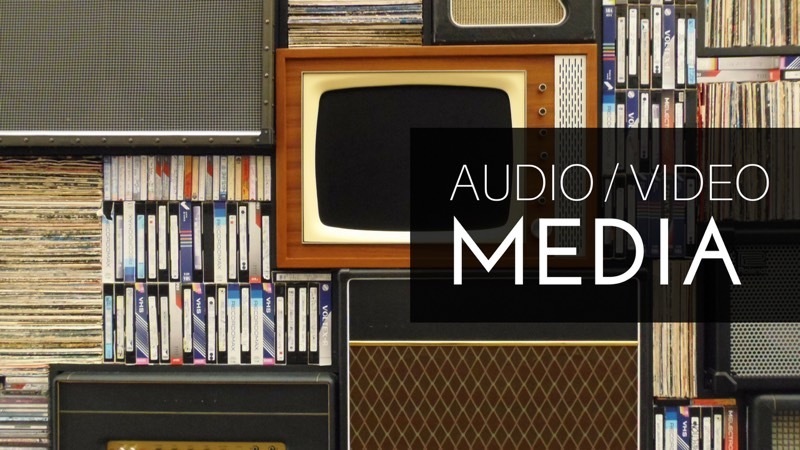 Audio 2 Supports live Streaming (such as Shoutcast) as well as mp3, ogg, wav and aac (h.264) – so you can now choose from more file formats to add to your project . 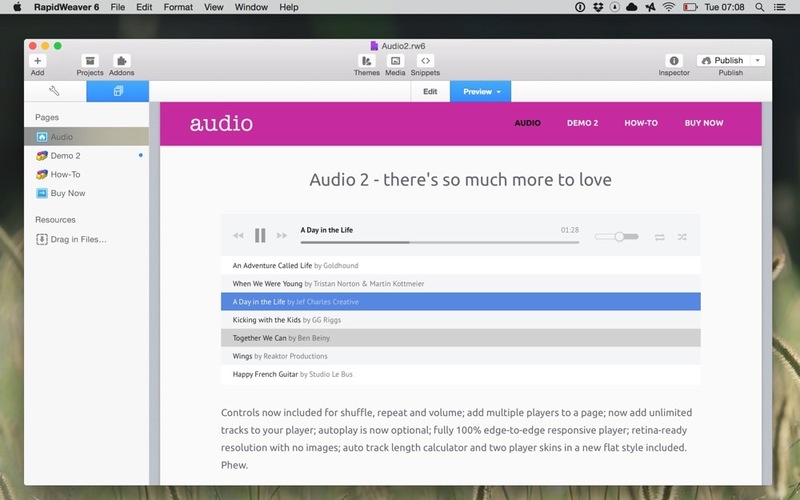 Quickly add your latest album tracks to your RapidWeaver project with Audio Stack. 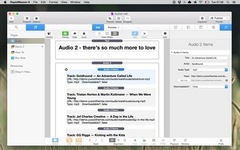 Use RapidWeaver Resources or the “warehouse method” (link to any audio track on the web). Link to your tracks or album with optional download buttons if you need to spread your audio for instant downloads. 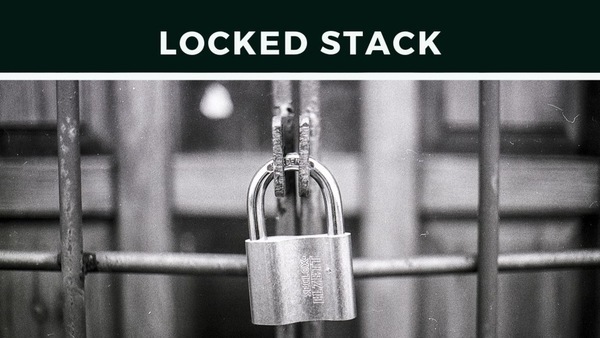 Works well with Digi Stack for selling Audio (digital) files!